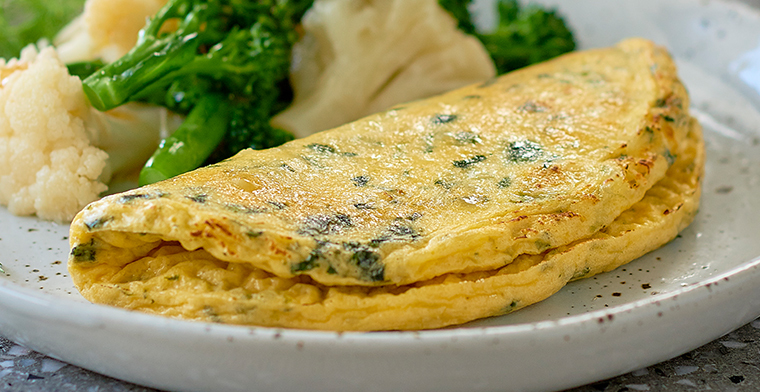 Our Fetta & Spinach Omelettes are made from fresh Sunny Queen eggs, creamy fetta and spinach. A mouth-watering combination of flavours that’s perfect for any part of the day! Available in two sizes, the Fetta & Spinach Omelette will add a little Mediterranean flavour to your menu. Our omelettes are so versatile. Check out some of our serving ideas that will have your customers asking for seconds. Our omelettes are Burlodge compatible. For further information please contact customer service on 1300 834 703.